For children’s safety it is essential to ensure that your play equipment remains in good condition and safe to use. This means that any small damage to the equipment needs to be repaired quickly with high quality spares to ensure that it can continue to be used without the damage becoming worse. Whether you are a school, local authority or organisation in charge of maintaining play equipment having a reliable source of spares will help to make play equipment maintenance a lot easier. This guide will help you to source the right spares for your play equipment. While it is important to make sure that the right spares are sourced for your play equipment, the cost of the spares will need to be taken into consideration. This means that you will need to source supplies that fit within your budget but which still have the quality needed to ensure that the play equipment remains safe to use. Researching a variety of suppliers for the one that offers the best value for money, but without impacting on quality, is the only way of ensuring that you get the best spares for your budget. Along with price, the quality of the spares will have a huge factor into who supplies your play equipment spares. If the spare parts are of a low quality they will easily become damaged again, could make the damage to the equipment worse and could potentially result in the equipment becoming unsafe for children to use. While you might not be able to source spares that are exactly the same as your existing equipment, to help maintain the overall look of the play area and the quality of the equipment installed, it is worth finding spares that are as close to your existing equipment as possible. As well as this, some equipment will need spares that match and have specific requirements in order to be maintained to a high and safe standard. Some spare suppliers are part of a larger playground equipment company and these suppliers ensure that their spares match specific types of play equipment. Often spares will be needed quickly to repair damaged equipment, so ensuring that you choose a supplier or suppliers with fast delivery is a must. Along with getting spares quickly, it can be a good idea to stock up on common spare parts to have ready to repair equipment as soon as the damage is discovered. Choosing a supplier with a great reliability record means that they can be trusted to deliver the spares you need quickly. As well as this, a reliable supplier will enable you to return spares that aren’t needed or not what you want without hassle. Choosing a reliable supplier can be done by opting for one associated with a larger company, through recommendation by word of mouth, or using a company that you are already familiar with. 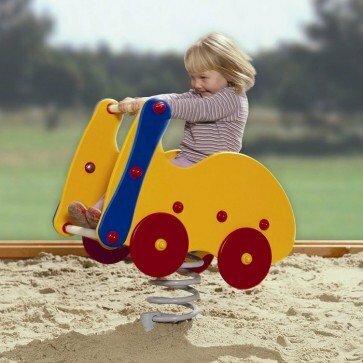 Whatever type of play equipment spares you need to source it is vital that you choose a supplier that can be relied upon to provide high quality spares that means equipment can be repaired without the damage becoming worse or unsafe for children to use.